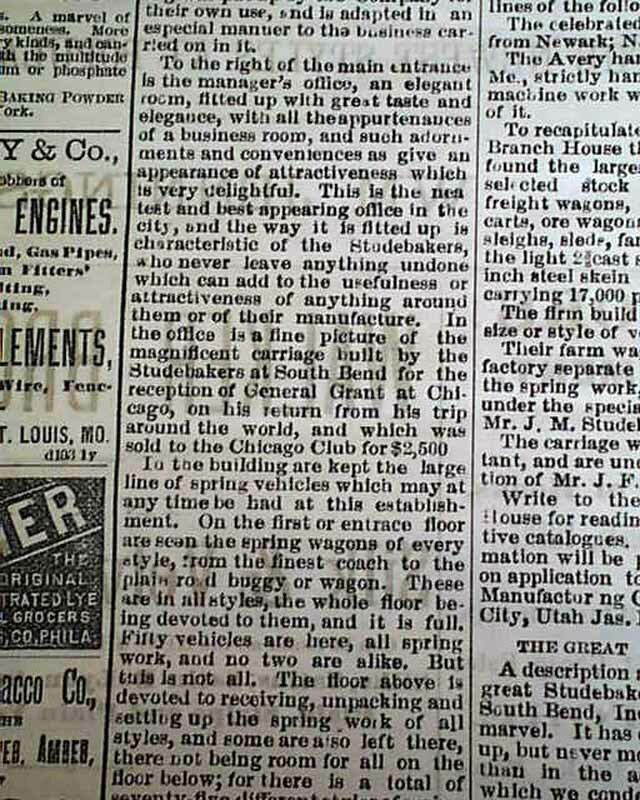 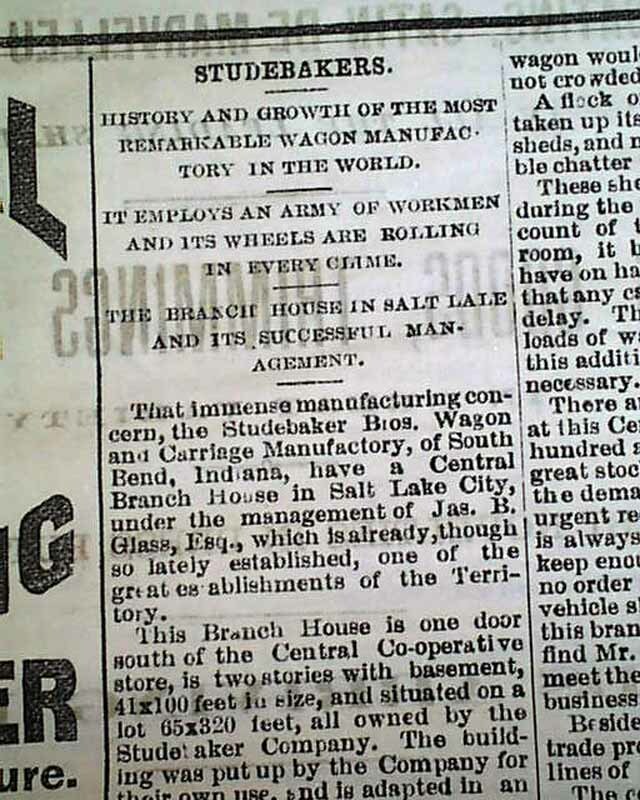 About two-thirds of the front page is taken up with an excellent & very detailed article on the history of the Studemaker company, with column heads at the top of the page: "STUDEBAKERS" "History and Growth fo the Most Remarkable Wagon Manufactory in the Word" "It Employs an Army of workmen and Its Wheels are Rolling in Every Clime" "The Branch House in Sale Lake and Its Successful Management". 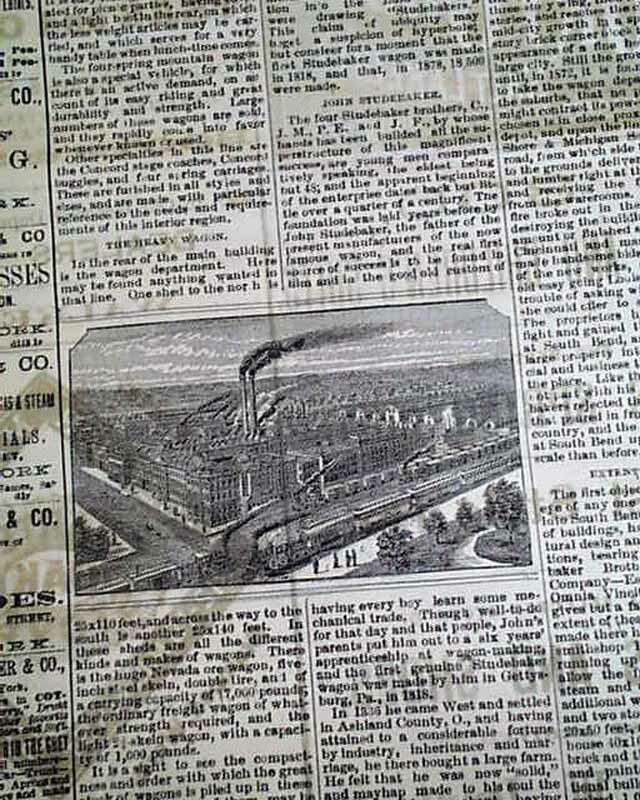 The article includes two prints of its huge manufacturing facilities as well (see). 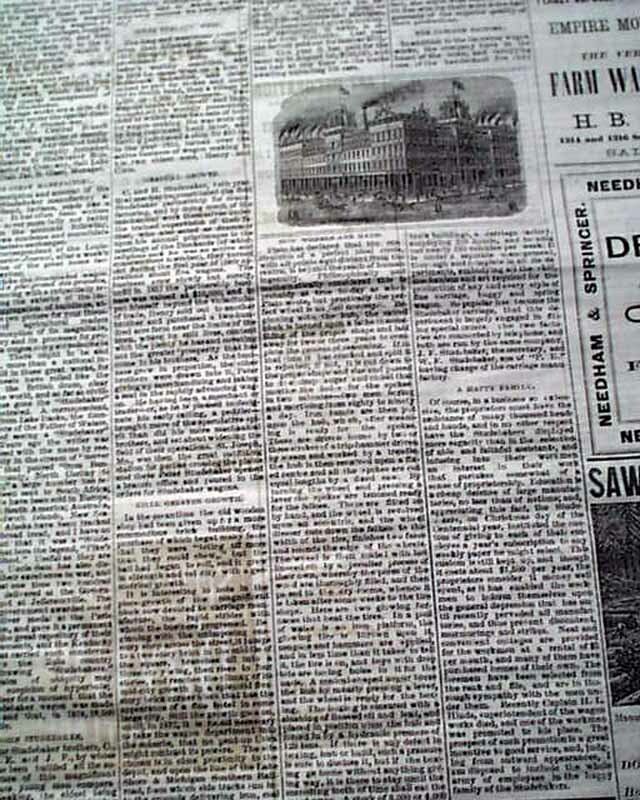 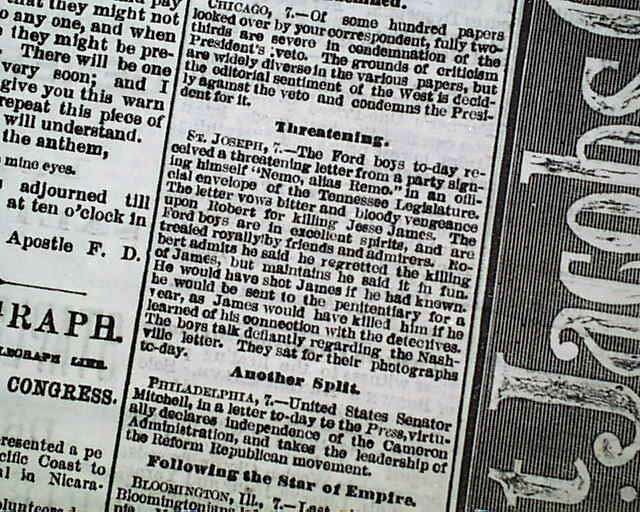 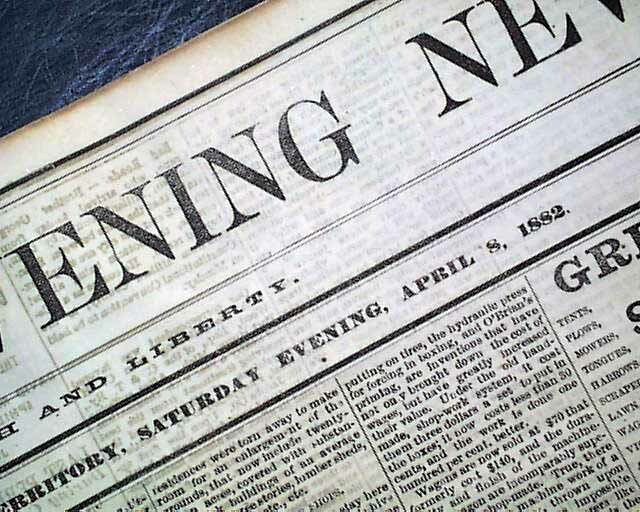 The back page has an item from St. Joseph, Missouri: "Threatening" noting: "The Ford boys today received a threatening letter...vows bitter & bloody vengeance upon Robert for killing Jesse James...he said he regretted the killing of James but maintains he said it in fun. 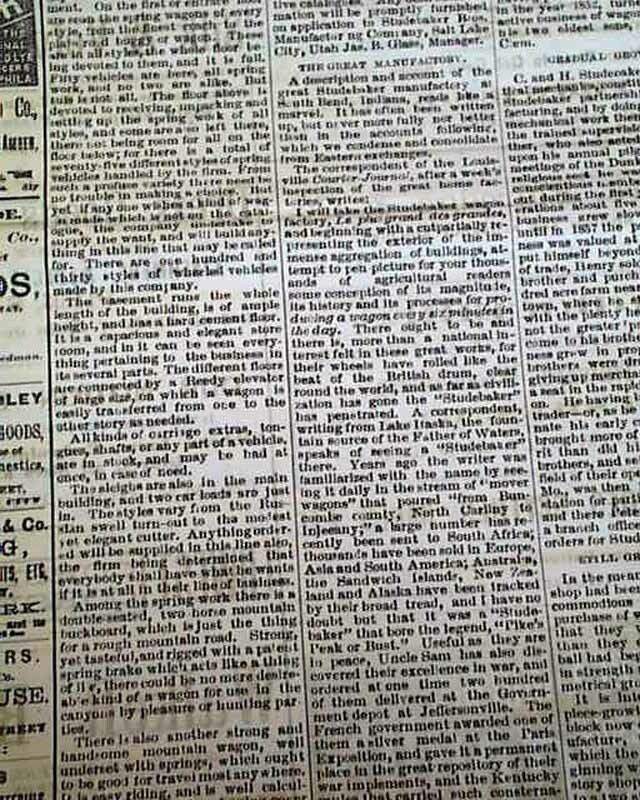 He would have shot James if he had known he would be sent to the penitentiary for a year as James would have killed him if he learned of his connection with the detectives..." (see). 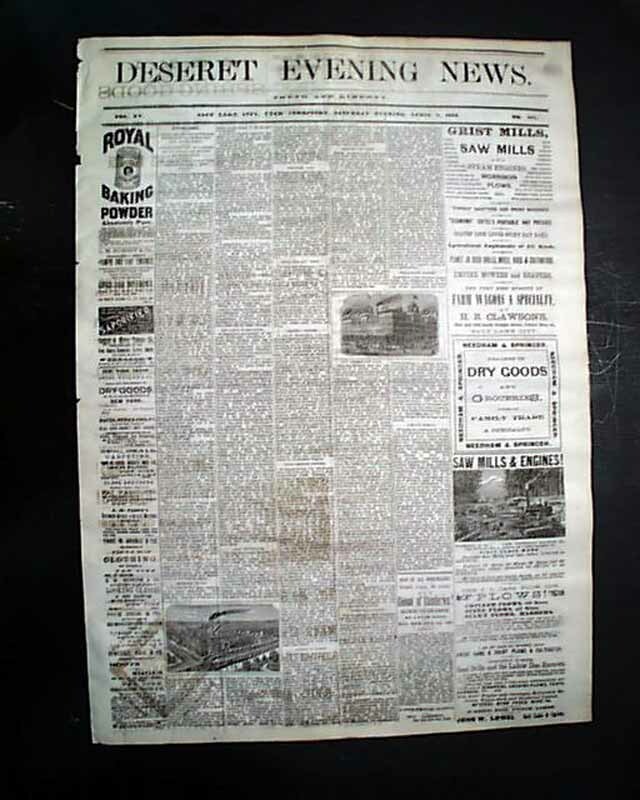 Jesse James was killed by Robert Ford just 5 days previous. 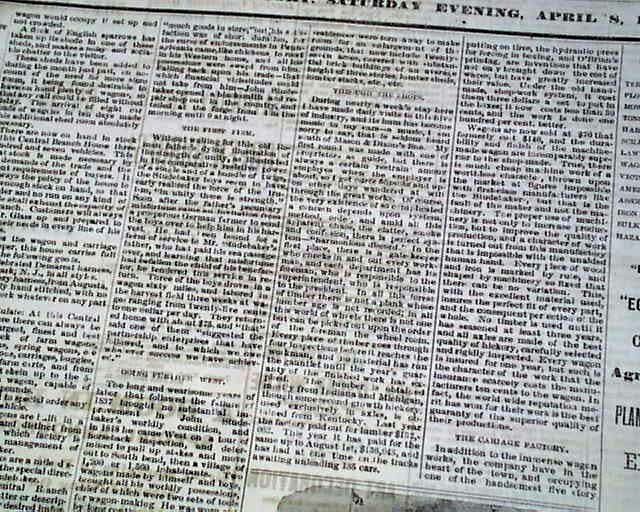 Four pages, bit irregular at the spine, very nice condition.